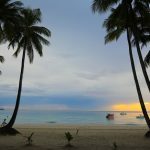 Cebu Pacific’s Two-Day Crazy Seat Sale means Aussies can escape to the Philippines from just $129, but you’ve got to be quick! Cebu Pacific’s Two-Day Crazy Seat Sale starts 2 pm Sunday 11th November until 11:59 pm Monday 12th November or until seats last. During this time, for travel between 1 February 2019 – 31 May 2019, travellers will be able to book one-way tickets to Manila from Sydney for just $149, and from Melbourne from just $129. From unspoilt natural beauty spots, to vibrant nightlife to sites of significant cultural heritage, it’s no surprise that the Philippines is fast becoming an alternative, affordable luxury destination to rival Aussie favourites such as Bali and Thailand. From Manila, people can fly on to various island destinations, thanks to Cebu Pacific’s extensive network. 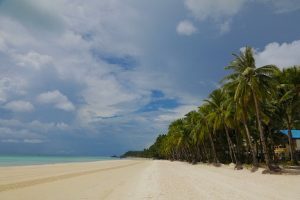 Visitors to the Philippines can choose to explore the hidden lakes and lagoons of Palawan, top surf spots, like Siargao, or just simply relax on the pristine white sand beaches of Boracay, to name but a few. This seat sale is the perfect excuse for Australian travellers to immerse themselves in a world of paradise. The Seat Sale tickets can be booked directly by visiting www.cebupacificair.com. The latest seat sales can also be found on CEB’s official Twitter (@CebuPacificAir) and Facebook pages.